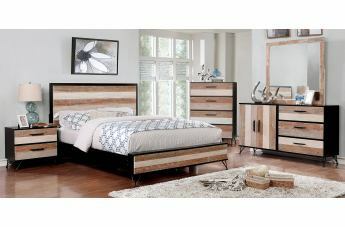 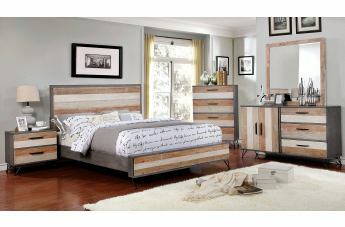 The unique multi-colored wood finish easily highlights this Haddel bedroom set's transitional flair in a warm and inviting exhibition of style! 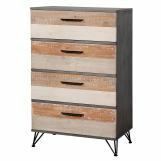 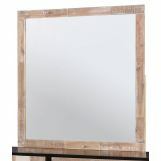 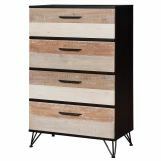 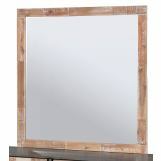 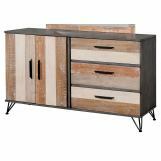 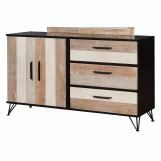 The thick finish traces the outside of the pieces helping accentuate the various wood finishes to guarantee a chic visual. 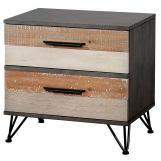 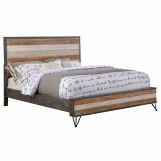 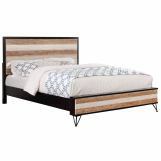 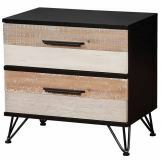 Each of the triple-bar legs brings an industrial element to the design, adding even more style while at the same time providing sturdy support for these Haddel bedroom pieces.